Thank you very much for all your help over the past few months. You have been so efficient with responses to any queries I have had, as well as with delivering the goods. 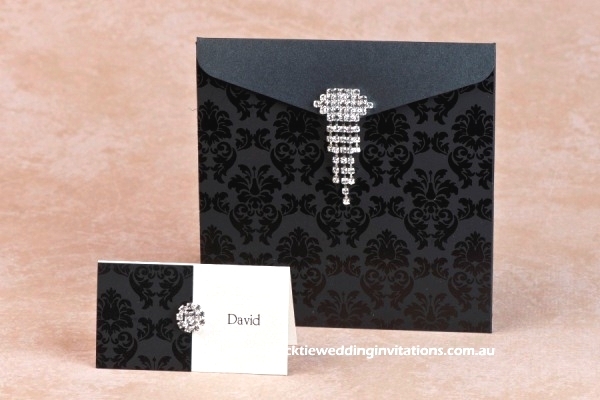 Also, everybody who received an invitation has remarked on how beautiful the invitations are. I will not hesitate to recommend you to other brides in the future. 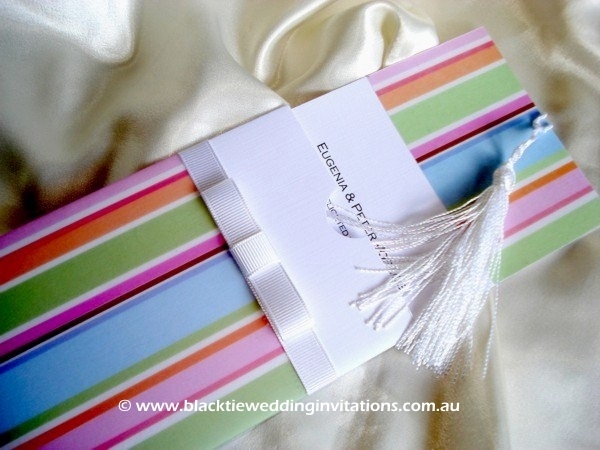 Our guests have given us the most wonderful feedback on our invitations! Quotes such as “I’ve never seen such an elegant invite”, and “this is the most beautiful wedding invitation I’ve ever seen” are coming through. So many requests on where we ordered from! 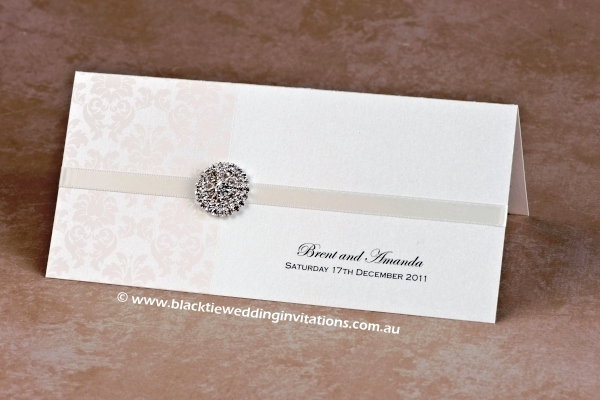 Just letting you know that I received the invitations and boy, did they look elegant or what! I loved the look and thank you so much for all your help. My partner loves them too!! Just letting you know I got the invites and they are fantastic! Thanks so much for doing them so quickly!! Wow! The cards look amazing. I can’t believe I am so lucky to have such beautiful invitations for my wedding. 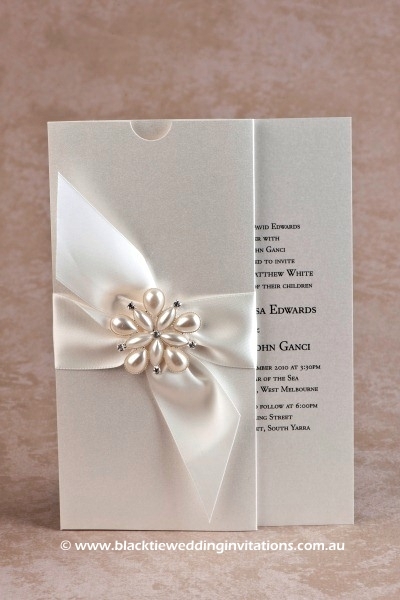 You will be pleased to know that the invitations are sensational! I couldnâ€™t have dreamt of a better result. They are just perfect, thank you! Thanks so much for all your hard work, all the extra work you put in with the personalisation of all the different wording variations. Your hard work was greatly appreciated and I will never be able to show you how grateful we are… but we will keep in touch, send you photos and support your business by promoting you where we can. Thank you. Once again, I just want to take this opportunity to thank you for my amazing (hen’s party) invitations that you created. You are brilliant at what you do!! You are very accommodating and was so easy to work with. 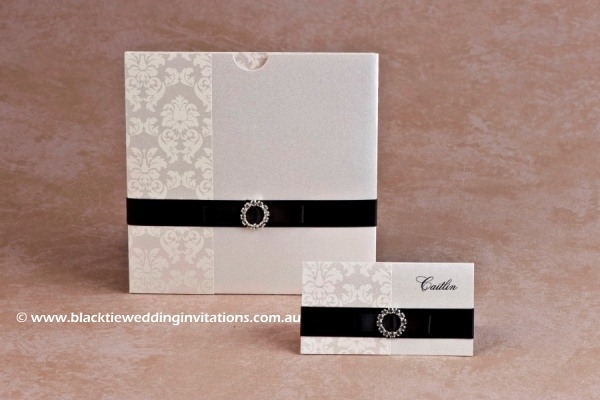 I look forward to the day when I need to organise engagement & wedding invitations! I received my wedding invitations and favour boxes from you a couple of days ago and they are absolutely perfect! Just thought I would email and let you know the invites have arrived and they are amazing 🙂 thanks so much!!! I will be in contact later in the year to get the matching Thank you cards. Once again thanks heaps 🙂 they are beautiful! 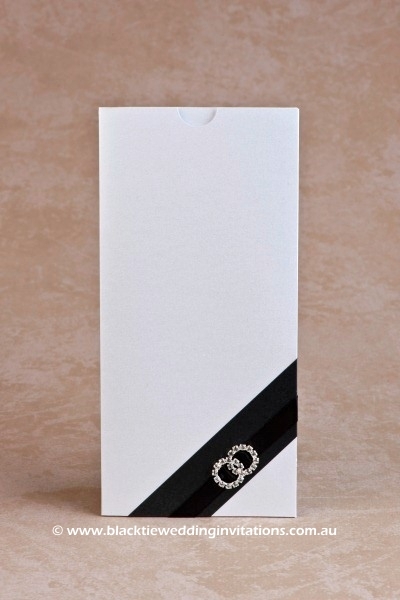 Thank you to Black Tie Wedding Invitations for the best service and quality invitations. We and our guests loved the invitations and stationery that you provided for our wedding and it made the themeing of our wedding so perfect. Denise and the team have provided the best customer service you could ask for and were always able to help with questions and provide advice. 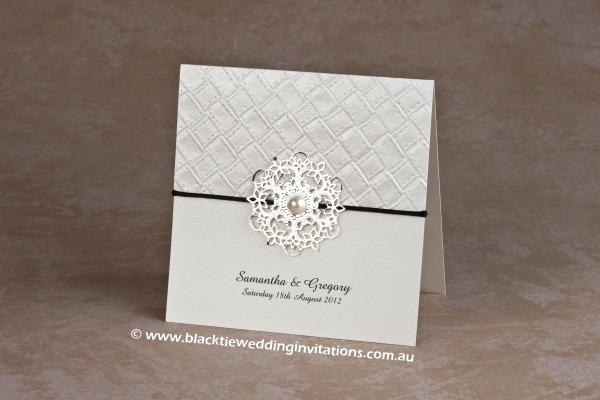 I even used the invitations as the inspiration for some of the design of my wedding dress! A very professional service which I would highly recommend. 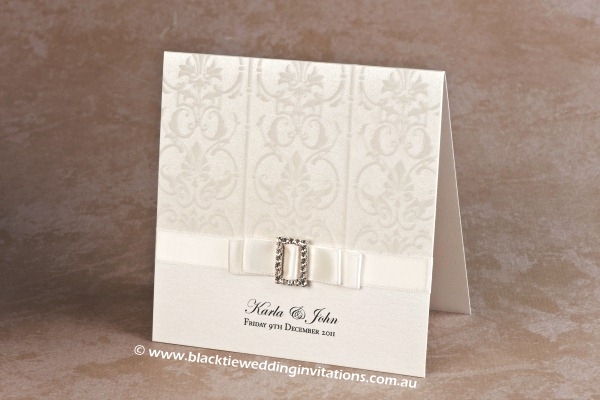 We absolutely love the invitations. You have done the most amazing job, and you did it in record time. Thank you so much for everything! To say that you have been wonderful, is not enough.